Our doctors specialize in primary eye care for the whole family. Including comprehensive eye exams for children and adults, glasses, contact lenses, laser vision consultation, diagnosis and management of eye disease, eye infections and eye injuries. Most insurance plans are accepted: VSP, EyeMed, Superior, UMR, Vision Care Direct, PVCS, CompBenefits, Medicaid/SoonerCare, Aetna, United Healthcare, Humana, Medicare and many others. We also offer financing through Care Credit. Call us to see if we carry your plan. 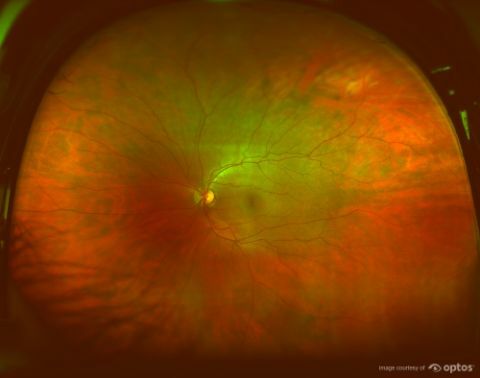 Now offering Optomap Digital Retinal Imaging! Click on the tab above to learn more. We would love to help you with all of your vision needs, please call or come by the office to schedule your appointment today! Now offering the ability to schedule appointments online from our website (see below) or Facebook page!